Never were two charming actors better displayed than Cary Grant and Audrey Hepburn in "Charade." A thriller, a comedy, and a romance, this genre-spanning classic film from 1963 hold up beautifully, thanks to a clever plot, witty dialogue and irresistible stars romping through Paris. Things start fast as a man is pushed from a European train, wearing pajamas and already quite dead. On to a French ski resort, where Regina “Reggie” Lampert (Hepburn) is vacationing with a friend, contemplating a divorce from her mysterious husband Charles, and flirting with a very attractive stranger, Peter Joshua (Grant). Then off to Paris, where Reggie finds Charles and everything else in their lovely apartment gone, including her clothes. The police inform her Charles sold off the contents of the flat for $250,000 (a princely sum for the day, trust me) and then turned up dead next to the tracks. They hand over his meager effects - several passports, a ticket on a boat for South America, a letter for her, and no sign of the money. Reggie realizes how little she knew about Charles when three extremely unpleasant characters show up at the funeral. One holds a mirror under Charles’ deceased nostrils; another sinks a straight pin into the corpse to make sure he’s dead. They begin to menace poor Reggie about where the cash (ill-gotten gains from a wartime misadventure) might be. 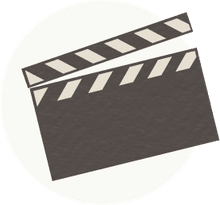 Peter shows up to help the penniless widow get back on her feet, protect her from the bad guys and look for the loot, but things are not what they seem. There’s a new plot twist every few minutes putting our plucky damsel in and out of distress. The bad guys start dropping like flies in a series of nasty murders, and she can’t help falling for Peter, even though she knows she might not be able to trust him. Will our heroine solve the mystery, find the money and land a good man? Hepburn is beyond chic in a series of spectacular outfits made for her by her favorite designer, Givenchy. Considering that all she had in the world was allegedly in her suitcase from the ski resort, her tailored, elegant wardrobe is nothing short of miraculous. He does well for an old guy in the action sequences and even better in the romance, as he and Hepburn toss their glittery lines back and forth like confetti. In one clever bit they’re dining on a boat on the Seine, and their repartee ricochets off the stone arches of the bridges as they pass beneath. Magic. The two charmers are set off by terrific villains - George Kennedy as a hulking thug with a hook for one hand; James Coburn as a rangy cowboy with a very nasty streak; and Ned Glass as a kvetching bad guy who can’t stop sneezing. Walter Matthau, a great comic actor, almost steals the movie with a sly, wry turn as a quirky CIA agent. 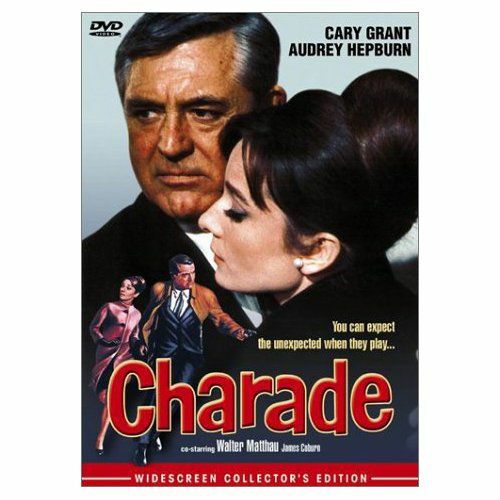 No one ever actually sings the words to “Charade” in the movie, perhaps because Johnny Mercer’s lyrics to Henry Mancini’s tune are haunting and full of regret - lovely, but there‘s none of that in the movie. Nevertheless, the tune is heard throughout the film, and the soundtrack was a huge hit. The movie is often compared to Alfred Hitchcock’s work for its combination of suspense, humor and a well-crafted plot, yet was directed by Stanley Donen, better known for his work on classic American dance musicals. Like Hitchcock, Donen does a cameo in the film, as a businessman in an elevator. Because the film was released without the proper copyright, "Charade" is now in the public domain, and can be viewed on many Internet sites. While clever, the plot has holes you could drive a truck through, but who cares? "Charade" is entertaining, funny, and has two of the greatest movie stars of all time. Watch it, already. If you liked "Charade," you may like "North by Northwest, " "Sabrina," " The 39 Steps, " "Funny Face," or "Breakfast at Tiffany's."